You found the B and B Surveying Company web log. This is where we tell you about our adventures in Texas Land Surveying. Connect with us, if you're into that sort of thing. Our computer system has crashed and we have lost a lot of data and electronic drawings. As a result we are running behind with our current projects until we can get our software and hardware issues resolved. I apologize for this inconvenience and hope to have everything up and running again in a couple of days. We appreciate your patience regarding this matter and assure you we are working as hard as we can to resolve this issue. 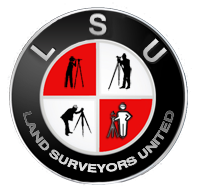 B&B Surveying Company is proud to announce that Deward "Karl" Bowles will be manning the Land Surveyor booth at the upcoming Boy Scout fair in April.